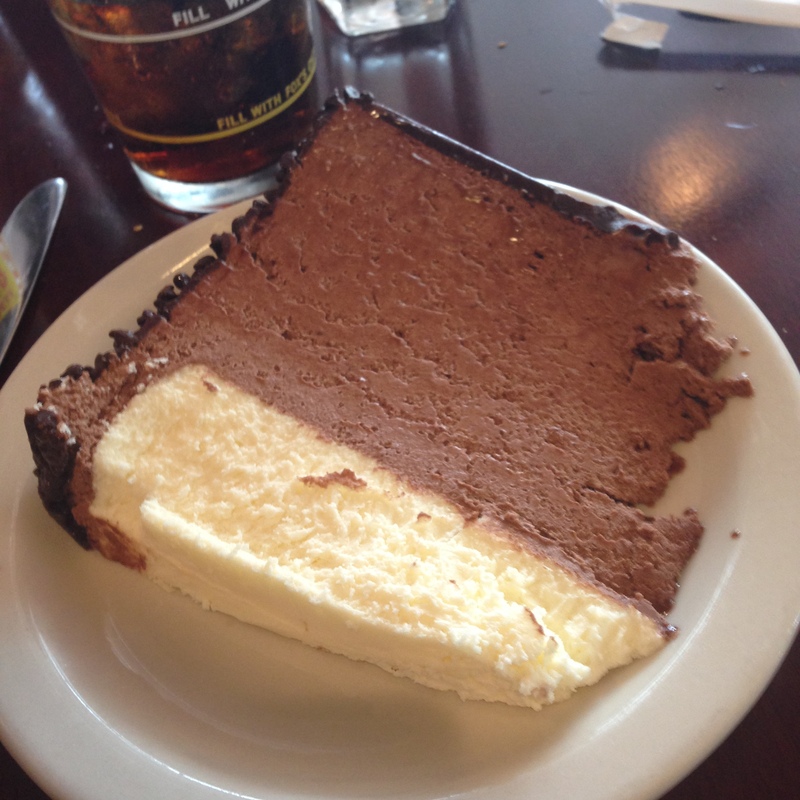 Junior’s restaurant in downtown Brooklyn boasts on its website that it serves “The World’s Most fabulous Cheesecake.” If it’s true, is it a boast? Junior’s is one of the few things in Brooklyn that’s still there from my childhood so, so many years ago. It’s also a place that binds my family together. My parents went there before I was born and then took me there in the days when downtown Brooklyn was where we did our major shopping. 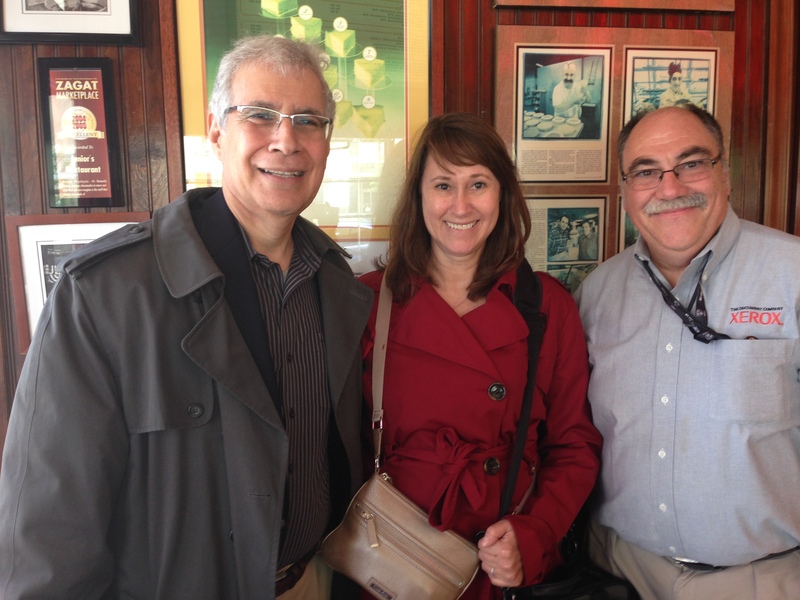 Lunch at Junior with my wife Carolyn, and wonderful friend Vic. We ate breakfast there in 2011 with my daughter as she was about to graduate from New York University. Even a vegetarian like her loved Junior’s cheesecake! So my wife and I planned a Junior’s meal as part of my birthday dream week in New York recently. When I realized a wonderful high school friend worked nearby, we invited him to join us, turning a great meal into a great meal with great company as well. Vic was one of my closest friends in high school and now, even though he lives 1,000 miles away from us, has become a major supporter of my new theater company. Junior’s is not the place to go when you’re on a low-salt, low-fat diet as I am, but I resolved to splurge on my week in new York. Junior’s fits right into that idea. 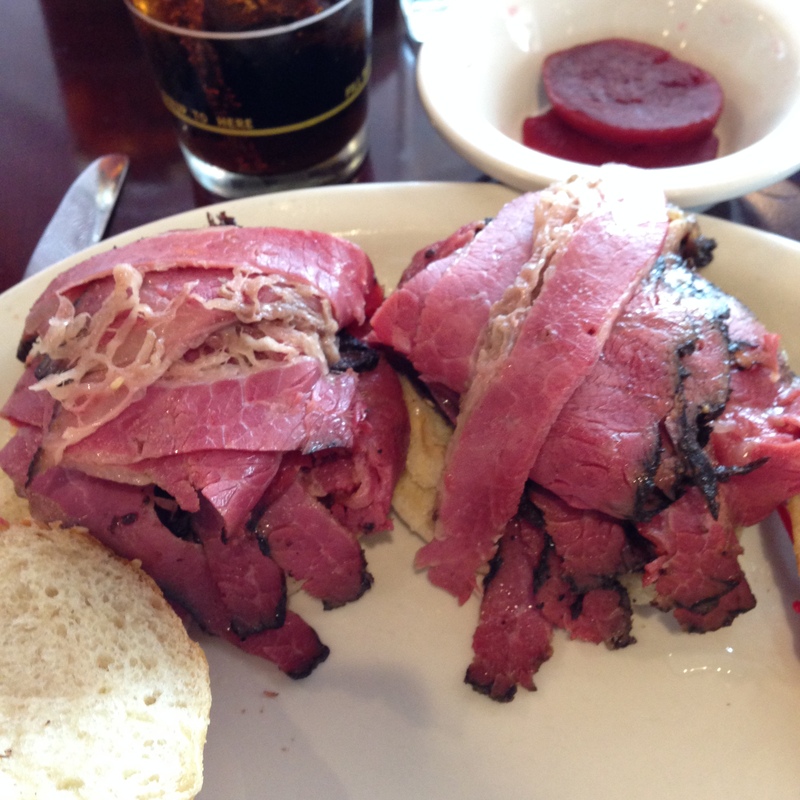 I started with the twin roles of pastrami. Pastrami in New York is truly the best around and Junior’s is delicious, and a bit cheaper than at some of the more famous delis in Manhattan. Add Gulden’s mustard and you’re eating a New York classic. I love Junior’s pastrami, love it. My dessert was Junior’s chocolate mousse cheesecake which is essentially a slice of cheesecake with a slice of chocolate mouse on top of it. My wife and I agreed to split a piece so I didn’t clog my arteries too badly, but I really should have gotten an entire piece. Junior’s is not the place for moderation! I’m in heaven when I’m in Junior’s. I wish my health allowed me to eat there more often. 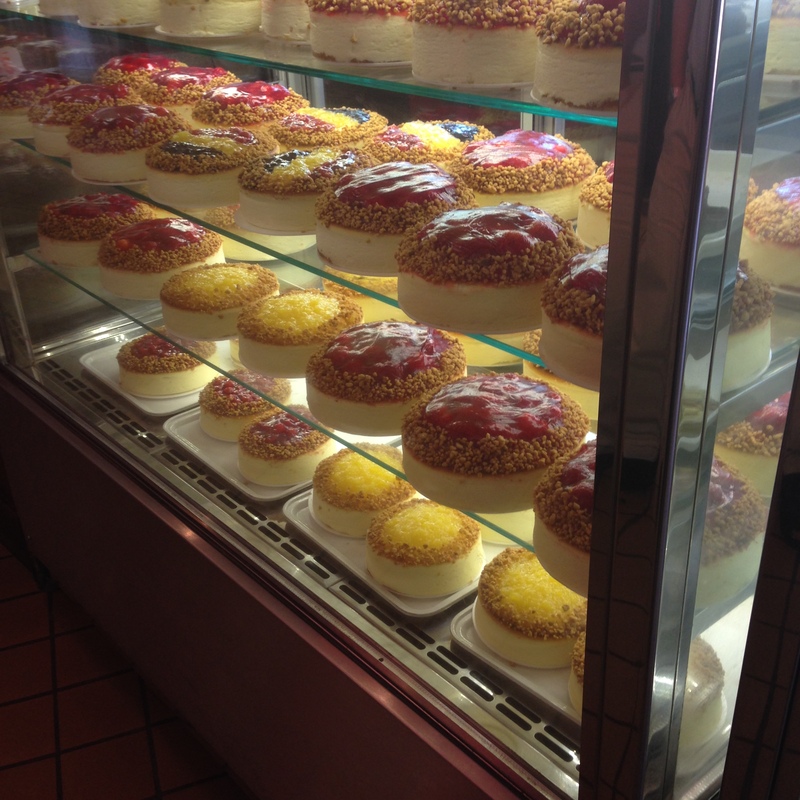 Junior’s sells cheesecakes to go too. You can also get them online. A travel note, Junior’s has a place just off Times Square in Manhattan too so if you don’t want to venture to Brooklyn, try that one when you’re in New York. For the true ambiance of Junior’s though, take the train to DeKalb Avenue and see the original place.